Pulwama: Early this week, Tariq Ahmad Shah, a small time Peoples Democratic Party worker, was surrounded by friends in Newa village of Pulwama district. He was trying to convince them to participate in the upcoming panchayat election, "It has nothing to do with the 'Kashmir problem'," Tariq declared, "But these elections will empower people at grassroots level, leading to equitable development." "These elections are about building roads and drains and protection walls in rural areas," Tariq, 32, told his friends, some of whom were workers of the PDP. They seemed optimistic but a bit nervous about the prospect of participating in the polls. "But how do we tell this to these people (militants) who are ready to kill anyone for participating in any elections?" Zahoor Ahmad Parry, a friend of Tariq's asked nonchalantly. Conversations like this are taking place in the villages of Kashmir — especially the restive southern areas — where grassroots politics gets activated and political mobilisation occurs. The churning had begun after former governor NN Vohra announced the decision to hold the twin polls from next month amid the ongoing political turmoil and violence — a move seen as being 'ill-conceived'. 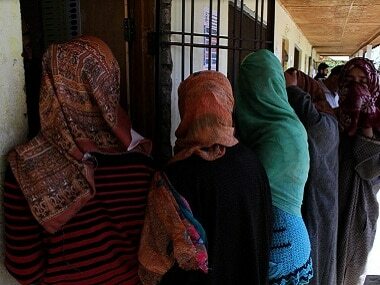 The last panchayat polls in the state were held in 2011. Although the erstwhile Peoples Democratic Party-Bhartiya Janata Party coalition government had announced that these polls would be held soon, the worsening security situation dampened their plans. The urban local body elections have not been held for nearly eight years now. 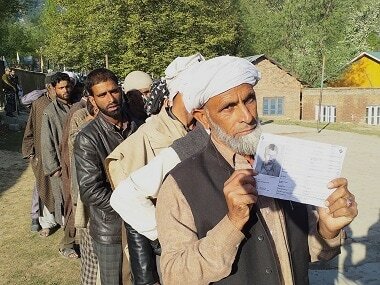 Although the ground-level activity by mainstream political parties has been missing for a long time in south Kashmir, some optimism was building up among the people that all this would change in the coming days with behind-the-scenes work being done for the polling process to gather steam. Now, the fresh uptick in violence on the day of Eid that left four people, including a Jammu and Kashmir Police inspector, a senior BJP activist and two more police personnel dead on a bloody day in south Kashmir, is likely to cast a shadow on the polling process. 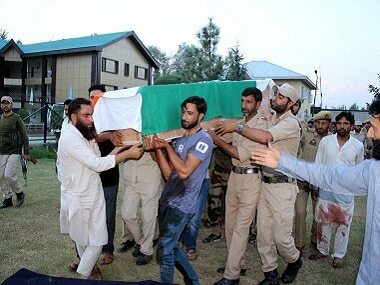 The spark of hope lit by men like Shah in the youngsters of Kashmir has been extinguished by a string of attacks that resulted in the killings of Inspector Ashraf Dar, BJP's Pulwama president Shabir Bhat and constables Fayaz Ahmad Shah and Mohammad Yaqoob Shah. "These killings have spread terror in Pulwama and adjoining areas. They will surely impact the polls if not elsewhere but surely in south Kashmir," said Tariq on Wednesday evening, "The fear of the gun is back." Bhat, 36, a resident of the Pathan area, was a long-time BJP worker, who entered the limelight after he heckled and stopped firebrand Langate MLA Engineer Rasheed from carrying out a procession against Prime Minister Narendra Modi a few years ago in Pulwama town. Fayaz Ahmad Shah, an SPO, was coming home in Kulgam after offering prayers at an Eidgah when he was shot dead. Yaqoob, another policemen, a resident of Louswani Pulwama, was killed when unknown gunmen fired upon him at point-blank range outside his home. 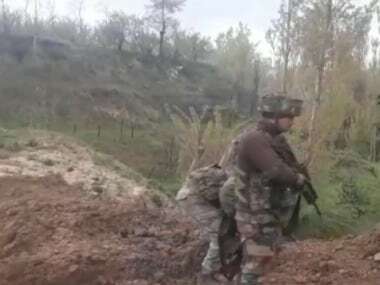 And the last man to fall, Dar, was fired upon by at least three suspected militants who raided his Larve residence in Pulwama and fired a hail of bullets at him from close range. As the Valley was celebrating Eid, wails and shrieks of inconsolable women emanated from the home of Bhat. Muntazir Ahmad, the BJP activist's cousin, said they searched for him in many places after his abduction. "But we could not find him. This morning (Wednesday), his bullet-riddled body was found 10 kilometres from his home in Litter Rakh village," he said. 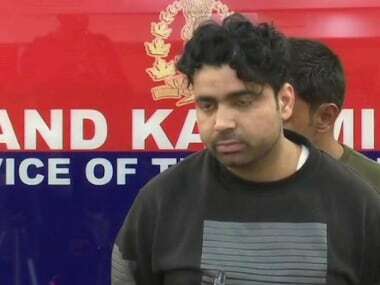 "He was travelling without his two PSOs when he was kidnapped by militants," Senior Superintendent of Police Pulwama, Chandan Kohili said. Bhat was recently provided security by the state government fearing a threat to his life. BJP president Amit Shah condemned the killing. In south Kashmir, grassroots political workers have become easy targets for militants in recent years after the death of Hizbul Mujahideen commander Burhan Wani in 2016. Armed militants have barged into the homes of political workers and made confessional videos of them denouncing mainstream political parties. These videos find their way on to social media. Many workers have been killed for defying their diktats or arguing with the militants. While in office, the BJP-PDP alliance kept Kashmir on edge with thousands of political workers chased out of their homes and forced to live in Srinagar to avoid being harassed or killed by militants. Most of these political workers are from south Kashmir's four districts: Anantnag, Pulwama, Kulgam and Shopian — that have emerged as the epicentre of renewed violence in Kashmir. But after the government collapsed, these workers had to give up their official accommodations and return to their homes, where they have become easy prey for militants. On the ground, these workers are seen as the 'eyes and ears of Indian agencies' in the embattled Valley. And in recent years, their lives have been turned upside down particularly after the killing of Wani. And it is only possible for the State to carry out such a huge exercise like the panchayat election if there is the participation of workers of different political parties on the ground level. "Even if it happens, we won't be contesting. The biggest thing is threat perception and the previous government did not allow us to work. Even when pay was released, there was too much interference from local legislators," said Mumtaz Ahmad, a former sarpanch from Pulwama district, who resigned from the post after being elected. Director General of Police SP Vaid said security agencies have been made in order to conduct the municipal and Panchayat elections in the state. "A lot will also depend on the people's will to participate in this exercise. We will do all it takes to make the elections incident-free," he said. "The question is not about who will vote, the question is about who will submit the forms to fight these elections here. There is a feeling that most of the candidates from political parties, known as public workers, will win unopposed. But going to a village corner to ask for votes or in the main town is impossible at this time," said Mumtaz.